People detect the presence of unnamed, unculturable bacteria in soil and feces by the examination of DNA taken from the soil. Free mutant DNA detected in blood can be used to detect the presence of cancer elsewhere in the body. I propose this principle could be used to detect the presence of lake monsters in large lakes. A large specimen of water will be concentrated, and DNA analyzed for sequences corresponding to the organisms of interest. Proof of principle can be first obtained in aquaria, or fish hatcheries (can goldfish DNA be detected from water containing many trout)? Then lakes and ponds will be analyzed to detect fish and other animals known to be present. Then a wider net will be thrown to detect the presence of saurians, crocodilians, pinnipeds or other large vertebrate monster candidates. Lakes suspected of harboring said monsters will of course be analyzed along with other lakes which seem good for monsters but which have received less popular attention. On a more practical level this technique could be used to trawl for the presence of endangered fish in a given body of water. Who and where are these people ? Do you have names ? We wish to know this merely so that we may avoid them; though we do not judge them, since they are clearly in need of professional psychiatric assistance, as a matter of urgency. Unless they start breeding C. Botulinus in bulk, their hobby is, while unusual, and socially distancing, not inherently dangerous. But is there no support group, or public agency, that can offer them a route back to more normal life, perhaps initially through some other misunderstood, repellent and despised marginal activity such as molesting domestic animals, or perhaps molecular biology ? I have tried this, well, sort of. I had a similar idea a long time ago, and so I did an experiment. I put a defined piece of DNA, at fairly high concentration, into my garden pond (which is quite small), then sampled the water at intervals for testing by PCR. I can't remember how much DNA I put in, but it would have been something like a few micrograms of a DNA a few hundred bases long. In terms of copy number, that's something like the equivalent of a whole person (or fish, or whatever) dying and releasing all their DNA at once. My research group at the time was focussed on single-molecule PCR, so we had the ability to detect a single template molecule in a sample. The added DNA decayed very rapidly - I can't remember at what point it became undetectable (ie, less than one molecule in a 1ml sample), but it was quite quick - hours or maybe a day. The natural environment is chock full of nucleases, alas. Bacterial detection and identification, in contrast, is a lot easier because the DNA is nicely protected in a live bacterium until you lyse the bugs and extract the DNA. For instance, I have another project where we're detecting single bacteria in samples of cerebrospinal fluid, and it works fine. Would this work in water obtained from the Whitehouse? (actually the monster there is clearly visible, but it may have spawned some undetected clones) Detecting these would be essential to assist in the process of decontamination once all of the current incumbents and their peripheral scum are hosed out. It would be much simpler for The Don and his team to trundle up to Camp David over the festive season, and then a decontamination team could go in with steam lances and bleach and stuff, get into every corner and crevice, and flush out every last trace of democrats. Might be an idea to tent the building and fumigate with a mixture of sulfuryl fluoride, cyanogen and sarin, just to make sure there are no nasty little clintons burrowed into the woodwork. Was it detectable at any point? Because a monster would be continuously adding DNA to its environment - not some one time thing. Also your discovery means there would not be false positives in waters that did host a monster up until very recently. Oh yes. Initially detected at high concentration, but very rapidly disappearing. Yes, but even so. Remember, I started out with the molecular equivalent of an entire mammal (roughly human-sized) dissolving in a small (about 3m across, 1m deep) pond. Our live monster is going to be losing a tiny proportion of its cells to the water every day (cells from its gut lining don't count - their DNA will have been broken down by the time they get pooped out). Also, our live monster is going to be in a much larger body of water. So, I think the steady-state concentration of monster genomic DNA is going to be too low to realistically detect. You might, just possibly, get somewhere with mitochondrial DNA. In fact, let's do the maths. Suppose Nessie weighs 10,000kg, and loses 100g of epithelial and other cells into Loch Ness per day. A cell weighs OTO 100pg, so that's about 10^12 cells/day. There's maybe 100 mitochondria in an average cell, so 10^14 mtDNA copies per day into Loch Ness. If the half-life of free DNA is 1 hour (roughly the same as in my pond) then we're looking at 10^13 copies as a steady-state level. Loch Ness is said to be about 7km3 of water, which is 7 x 10^9 m3 (call it 10^10m3), or 10^13 litres. So, the steady-state concentration of Nessie mitochondrial DNA in Loch Ness would be about 1 copy per litre. However, Loch Ness is not stirred - at least not very well. I'm guessing that mixing over the course of a day is fairly localised (eg, maybe with a distance scale of 100-500m). Therefore, there will be local concentrations of Nessie mtDNA perhaps 10^4 or 10^6 times higher than the average. So, if you collected water from where Nessie had been hanging out for a day, you might get as high as 1 copy per microlitre of Nessie mtDNA in your sample. This would be easily detectable. But, on the other hand, the local-only mixing means that you'd have to take samples about 100m apart in both area and depth. This would equate to about 10,000 water samples. Still, that's not unfeasible. So, there you have it. Just collect 10,000 evenly-distributed water samples, each of a few microlitres, from Loch Ness, and recover and sequence all the mtDNA (which is fairly easy). You should find Nessie's mtDNA in there. Don't you already have to have a sample of saurian DNA in order to properly identify what to look for? There is that. However, if you have an mtDNA sequence you can plug it into a phylogeny of all mtDNAs. If you get something that looks distantly related to birds, alligators and property developers, you'd have a pretty good idea it was Nessie. Would it not be quicker and easier to drop a small* fusion weapon into the suspect body of water, initiate it, then examine what (if anything) floats to the surface ? *Relatively small. Big enough to be entertaining, obviously. Otherwise, what would be the point ? This idea was inspired by a paper looking for yeti DNA that got into Science. I have to think this researcher did not come into possession of a lab and molbio skills on the strength of her yeti research background. But the yeti research got her into the news. Did she try improving her Yeti research by deploying low -yield fusion weapons ? If not, she clearly missed a trick. All that would be needed is to airburst a modest* fusion device at the site of interest. This would blow away all the snow and ice, and kill everything in the area. Give it a day for the high-active nuclides to disperse, and then just go in and look for yeti carcases; away from ground zero, they should be intact enough to be interesting. *Yield requirenent will depend on burst height and area to be covered, obviously. //a paper looking for yeti DNA that got into Science// They've done mtDNA analysis on nine supposed yeti samples. Eight of them turned out to be from bears, but the ninth...wow... it was from an actual dog. The amazing thing about yeti, sasquatch, UFOs, the LNM and all these other fruitloop phenomena is that although the number of people carrying cameras on their person has increased by maybe 50-fold in the last few decades, the number of photographs has not. 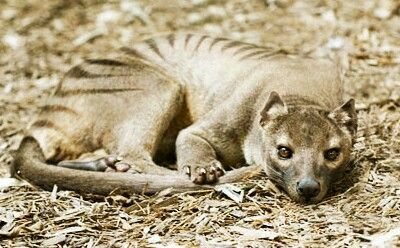 The only exception to this rule is the thylacine, where a modest number of photographs and phone-quality videos have been produced, although none of them is clear enough to be definitive. On the other hand, it may be that sasquatches can now walk down the street in plain sight, knowing that no-one will look up from their phone. 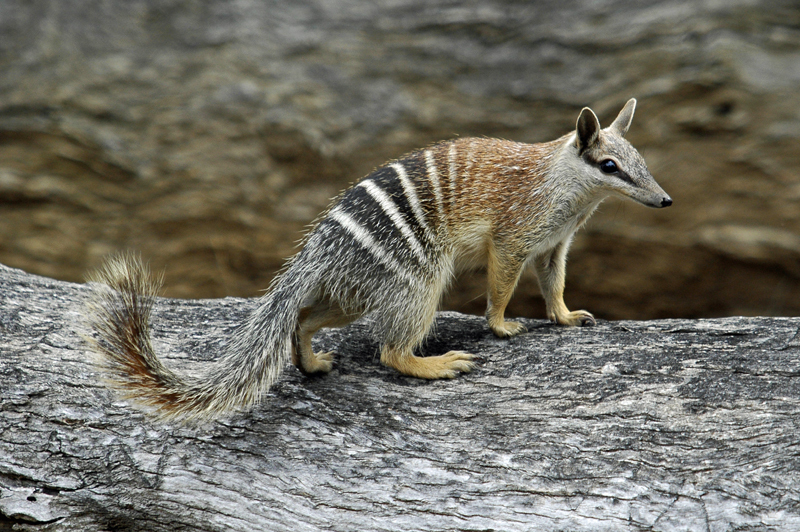 On this theory, the thylacine exception is accounted for by the poor quality of reception in Tasmania. I give you (through the implied (& not so implied, on the last one) commentary of my three links) a likely explanation for that. 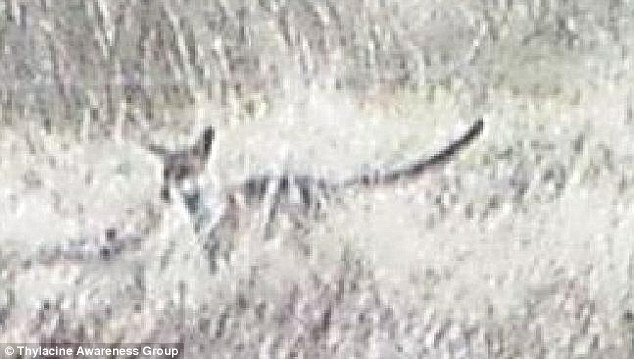 Even a picture of a dog or a fox with a stick on the ground behind it (looks like a tail) is enough to excite some people (links), as per the article. 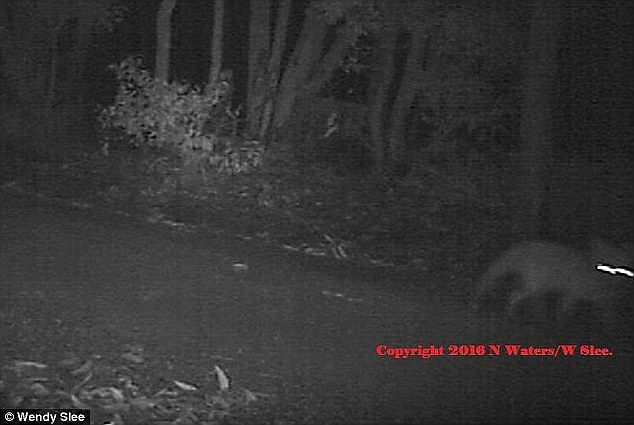 As for that last link (the night picture (from the same Mail article) of a blurry wallaby hoping off to the right), the quality of hoax material these days is simply laughable. [Max] So you're saying that detecting Nessie is quite achievable as long as Loch Ness is gently stirred? So, kilotons instead of megatons. It's not the phones. "They Walk Amongst Us", remember ? How do you tell a Sasquatch from a regular Canuck ? (this is not a trick question). You mean there's something in Tazzie that isn't poor quality ? Or you could simply check their passport. If they ever spend vacation time in a warm location, you clearly don't have a Sasquatch.